The mysterious Stonehenge was a dance arena for ancient revellers listening to ‘trance-style’ music, according to one professor who is an expert in sound. 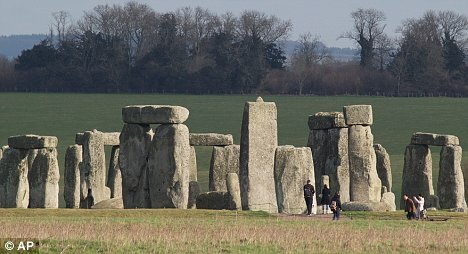 Stonehenge has baffled archaeologists who have argued for decades over the stone circle’s 5,000-year history – but now academic Dr Rupert Till believes he has solved the riddle by suggesting it may have been used for ancient raves. Part-time DJ Dr Till, an expert in acoustics and music technology at Huddersfield University, believes the standing stones of Stonehenge had the ideal acoustics to amplify a ‘repetitive trance rhythm’ not dissimilar to some kinds of modern trance music. The original Stonehenge probably had a ‘very pleasant, almost concert-like acoustic’ that our ancestors slowly perfected over many generations. Because Stonehenge itself is partially collapsed, Dr Till, used a computer model to conduct experiments in sound. The most exciting discoveries came when he and colleague Dr Bruno Fazenda visited a full-size concrete replica of Stonehenge, which was built as a war memorial by American road builder Sam Hill at Maryhill in Washington state. He said: ‘We were able to get some interesting results when we visited the replica by using computer-based acoustic analysis software, a 3D soundfield microphone, a dodecahedronic (12-faced) speaker, and a huge bass speaker. ‘We have also been able to reproduce the sound of someone speaking or clapping in Stonehenge 5,000 years ago. ‘The most interesting thing is we managed to get the whole space (at Maryhill) to resonate, almost like a wine glass will ring if you run a finger round it. Building on previous research, Dr Till believes ancient Britons had a good ear for sounds and shaped the stones to create the best acoustics. Dr Till recently spoke to academics at Bristol University about Stonehenge rituals and a research network is being set up to look closer at Neolithic sites. ‘There are two main theories about what Stonehenge was used for,’ he says. ‘One is that it was a healing space, the other that it was a place of the dead. ‘Both of these imply ritual activity, but very little is actually known about the way people sang, danced or performed rituals there because these things left no trace in the archaeological record. ‘However, our research shows that there are particular spots in the site that produce unusual particular acoustic effects, intimating that perhaps a priest or a shaman may have stood there, leading the ritual. The data is still being analysed, but it is clear that Stonehenge did have a ‘very unusual sound’ says Dr Till. 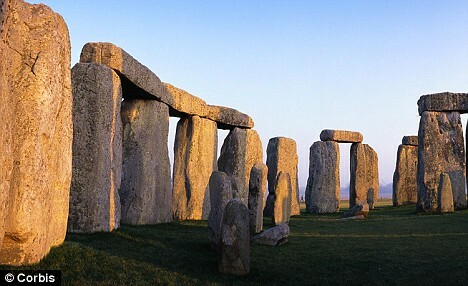 Stonehenge has been voted as the UK’s top wonder in a new list of the country’s unmissable attractions. The ancient site beat competition from other notable UK landmarks including Snowdonia and Edinburgh Castle to top the survey of the ‘Seven Wonders of Britain’. The poll, by holiday firm cottages4you, asked 1,000 holidaymakers what made a great British break. It found that as a nation we are lovers of Britain’s natural beauty as we shun modern-made attractions for natural and historic sights, with prehistoric monument Stonehenge topping the list. The survey also found that while a third of 18-24-year-olds said fish and chips on the pier was the most memorable British holiday activity, over 35-year-olds were wowed by the UK’s countryside and scenery. Apart from Stonehenge, the list includes Hadrian’s Wall, the White Cliffs of Dover, Loch Ness and Cheddar Gorge. Afternoon Express Coach Service from London to Stonehenge, including admission into Stonehenge. The great and ancient stone circle of Stonehenge is one of the great wonders of the world and has been awarded World Heritage Status. Why it was built is a mystery, it has been a pagan place of worship, an astronomical clock and a Bronze age burial ground. Its origins date back almost 5,000 years. Decide for yourself while you discover this unique monument. 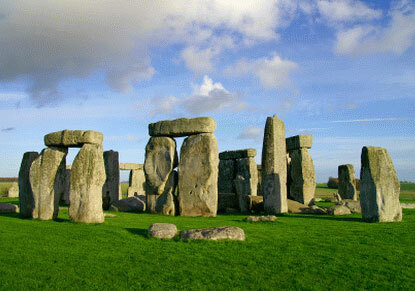 Board our luxury coach for a direct Express service to Stonehenge. On arrival our driver will take you onto the site, where you can enjoy the stones at your leisure with a fascinating audio-guide tour, in the language of your choice. Languages on the Audio Guide: English, Italian, Swedish, Russian, German, Mandarin, Spanish, Japanese, French, Dutch. was announced today (19th November). that they are seeking for their £27.5m project. family activities will also be catered for. understand the monument and its setting. to submit fully developed proposals to compete for a firm award. supported more than 28,800 projects, allocating over £4.3billion across the UK. Stonehenge Special Access Tours – Go beyond the fences! We have arranged with English Heritage for you to experience a unique guided visit to this ancient sacred site – beyond the fences and after the crowds have gone home. Walk amongst the stones and experience the magical atmosphere within the inner circle. For those of you who have not visited this sacred site, we should mention that the complex is roped off. Visitors observe the stones from a distance and are not permitted within the temple complex……….our special access tours allow you to be amongst the stones and to actually touch them. Your guide will bring to life its many myths, legends and rich and fascinating history. All tours depart central London at 6.00am and return mid-day leaving you time to make the most of your stay in London. After your pick-up directly from or near to your hotel, we drive to Bath to visit the Roman Baths and Pump Room. In the late afternoon we visit Lacock for an early evening supper in a 13th century inn, before driving to Stonehenge. As the sun begins to set, we enter the stone circle (which is normally roped off to the public) for a unique private viewing. 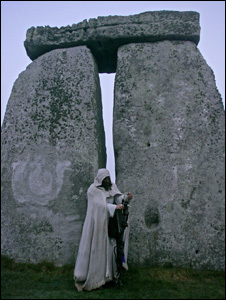 The most dramatic and atmospheric way of visiting Stonehenge. Lacock is a little known, picturesque village dating back to the Saxon era. Many of the beautiful buildings originally formed part of an extensive monastic complex and are now owned by The National Trust. So pretty is the village that it has provided the setting for many movies and television dramas including Jane Austens Pride and Prejudice and more recently Harry Potter and the Philosophers Stone. We will take a delightful walk before we enjoy an early evening supper* (or breakfast for morning tours*) in The George, a vintage English pub built in 1361. Bath, a world heritage site, is a beautiful Georgian city with delightful crescents, terraces and architecture. There will be plenty of time to visit Bath Abbey, or to shop and explore. Your guide will also conduct an optional walking tour to show you where Charles Dickens lived and worked as a young man, and a give you a chance to sample some delicious cheeses fresh from the local dairy farms. Then we will enter the magnificent Roman Baths, where over one million litres of boiling water still burst free from the hot springs everyday. Thought I’d share this Stonehenge Joke with you…….. It was an early attempt to precisely map positions of stars and planets to facilitate better horoscope writing. A few people drank too many cups of espresso one morning, had to work it off. And if you have time, read further…………. Stories that `explain’ Stonehenge have been told since the Middle Ages. People have tried to explain Stonehenge for centuries – certainly since the Middle Ages. The monument probably takes its name from Old English stan hengen – `the stone hanging (- places)’, suggesting it could perhaps have been an Anglo-Saxon execution site. But no excavation there has located one of those pathetic, contorted burials that so graphically illustrate early medieval royal control (see BA, February). Although Domesday Book shows that Stonehenge was on a royal estate, it was not the meeting-place of the local hundred court. Nor is it close to a boundary, and although roads went close by, it was not at a crossroads. So it was probably not an Anglo-Saxon `killing-place’; but people who saw in the stone trilithons a similarity to the two-post and crossbeam gallows typical of the period may have given the monument its macabre name – England’s first example of gallows humour? Any joke was lost on Henry of Huntingdon, the author of the work in which Stonehenge is first recorded, for the early copies of his book spelt it stanenges, perhaps because he took the name from an h-dropping Wiltshire native. The section of his History of the English that mentions Stonehenge was issued c. 1130, and it is quite likely that Henry had seen Stonehenge, for he gives an eye-witness account: `stones of remarkable size are raised up like gates, in such a way that gates seem to be placed on top of gates’ – a graphic description of how the lintels of the outer sarsen circle are overtopped by the central trilithons. Henry regarded the monument as one of England’s marvels: `no-one can work out how the stones were so skilfully lifted up to such a height, or why they were erected there’. He was soon to be given an explanation, however. Geoffrey of Monmouth’s History of the Kings of Britain of c 1136 claimed that Merlin had the stones brought from Ireland and re-erected, using his `wondrous art’ at the behest of his British patron. Twelfth century writers understood patronage, and their Histories reflected contemporary tensions by offering legitimisation variously to Normans, English, or Welsh. Henry accepted Geoffrey’s story, but many others since have not, doubting the existence of the `old book’ that he claimed was his main source. He must have had some source other than Henry, however, as he put the `h’ in his spelling of Stonehenge. But what he says about the monument does not suggest that he had ever seen it; he seems to have thought it a single ring, and makes no mention of the lintel-stones. If he had known the area better, he would not have described Amesbury, beside the Avon, as a mons (`mountain’). If Geoffrey did not know the area, how much trust can be placed in his stories about the stones being moved? 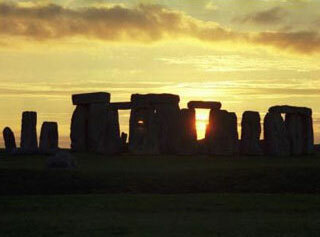 The archaeologist Stuart Piggott argued that the story of the transfer of the stones was a folk-memory of the bluestones being brought from Wales. Folklore scholars say that these stories were common-place, and that Geoffrey could have heard them told about other stone rows and circles, and done a bit of transferring of his own. Stories to `explain’ landscape features were probably told often enough; `the tendency of fiction to gather round places and place-names’, as the historian Patrick Sims-Williams wrote in a study of their use (or uselessness) in understanding the Anglo-Saxon settlement. One area for which much has been claimed is Uffington, where the long barrow Wayland’s Smithy is recorded in a 10th century charter, and where other names around the White Horse, such as the Ring Pit, may seek to locate the exploits of Wayland, the mythical smith. Barrows, recognised as ancient burial places, were particularly likely to acquire heroic names. But in general the boundary marks in Anglo-Saxon charters are boringly prosaic. The circuit of an estate close to Stonehenge went `from the Avon to the old camp ditch . . . to the track . . . to the boundary that Wulfsige laid down’, recognising previous use of the land with its reference to an Iron Age or Roman enclosure but not giving it a fabulous origin. Ownership rights are stressed by the reference to Wulfsige. Heroes, giants and gods are allowed an occasional place, but overall the landscape is viewed as parcels of property. Local people may have told stories about Stonehenge, but the monument’s name does not suggest anything but some grim tale about an execution – or it may just be a nickname. It can only be said that, from archaeological evidence, medieval people seem not in fact to have used the place at all. It was what Henry of Huntingdon said, a marvel, but it had no role to play in the medieval landscape of managed, demarcated downland, where the king’s sheep grazed under the watchful eyes of their shepherds. Superb interactive ‘full screen’ panoramic image of Stonehenge. Take a spin from within the famous stone circle. This stunning panoramic was created on a beautiful crisp morning, just days before the Timewatch dig. Best viewed full-screen, link below. Drag the picture with the mouse or use the cursor keys to rotate the view – use Shift and Control to zoom in and out. Can you spot the magical bluestones, transported 250km from Wales by our Neolithic ancestors? Professors Darvill and Wainwright believe they hold the key to unlocking one of archaeology’s biggest mysteries – the purpose of Stonehenge.